Does anyone remember what songs were on the phone when it was sent from the factory? One of them has been playing in my head for 14 years, but I can't for the life of me remember what it was called. rizz, 10 Aug 2013wow.. announced in 2000 with mp3 playback. must be a great excitment of that time.It was...i paid almost £400 for it. affairica, 17 Aug 2013Could you set mp3 music as ringtone in this one? It'd be stupid if you could listen to music b... moreYes you could, but with 32mb ram You had to use mp3s in the lowest format possible to get 8-10 songs (96kbps)...I bought this back in 2001 and it cost £399.99. i want to buy this phone ... wow amazing ..
wow.. announced in 2000 with mp3 playback. must be a great excitment of that time. Samsung M100 is my first MP3 player phone and I enjoy that phone works for me better for the 7 years with out any trouble. This was my second phone. I loved it and was proud to have an MP3 player in a phone. Phone design was basic and boring. Build quality was surprisingly good for a Samsung. The keypad and the keys were plasticky for my taste. Best part was the quality earphones and the remote control. 32MB for music, in 2001, was not bad for a mobile phone. The screen was tacky and not to my liking. Legibility in sunlight was poor. Excellent reception and call handling. Battery life was better than most phones but could hardly last for 2 hours of continuous music player usage. Still, it was unique and stood it's own against the Nokias and Motorolas and Ericssons. I can't believe that this was the 1st Samsung phone with an MP3 Player built inside it! The other retro phone with an MP3 player inside was a Siemens SL42, I think. 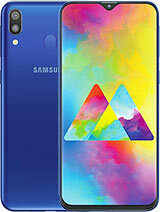 Total of 82 user reviews and opinions for Samsung M100.